As expected, Blockbuster has released a new application that allows consumers to view movies on mobile devices. 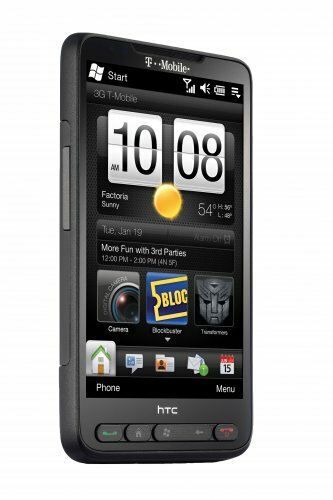 For now, the app is only compatible with the T-Mobile HTC HD2 phone, but Blockbuster says Android compatibility is on the horizon. Is Blockbuster putting too much stock in the public’s willingness to pay for and watch video on tiny screens, Insiders? Or will this new channel take off and justify their efforts? Give us your take in the comments. Is Blockbuster putting too much stock in the public’s willingness to pay for and watch video on tiny screens, Insiders? Or will this new channel take off and justify their efforts? I think we all have discussed why over the past few months. Not to be too cynical but if Blockbuster is leading the charge in a new space I assume others have looked/considered/passed already. What’s the new idea here vs what’s currently available? The mobile piece is new but that is likely going to be a tiny market. Blockbuster is a basket case. I sure would like to see this available for my iPhone! Never gonna happen ,is it? Actually I am pretty sure that is coming up sooner than you think. I remember seeing an AT&T commercial describing a mobile streaming service. I don’t have the iPhone but I am on AT&T and their is some more info about it available on that media-net thing they have, you should check it out if you are interested.